1. How do I remove the Outlook / Office 365 Deployment Software from my computer? Open your computer’s CONTROL PANEL. 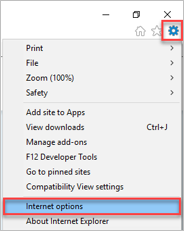 Click open “Programs and Features”. 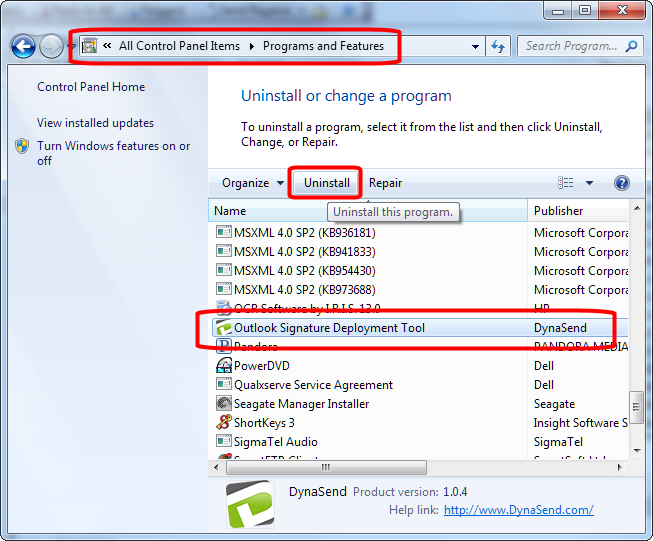 Locate the “Outlook Signature Deployment Tool” published by “DynaSend” in your list of installed programs. Click on it and then click UNINSTALL (and then follow the prompts). 2. What are the technical requirements to install and run the software? The Outlook / Office 365 Deployment Software is Windows-based and requires Microsoft’s .NET Framework version 4.6 (or higher). Microsoft’s .NET Framework version 4.6 was released in 2014 and should already reside on your computer if it was purchased after 2014 or if you have done the routine updates to Windows that Microsoft encourages. 3. How do I deploy the software on a PC shared by multiple users, a Remote Desktop Server ([RDS server] formerly called Terminal server) or a Citrix environment? Both Administrator and User installation options will work equally well however a single Administrator installation will be simpler to deploy in most environments and is therefore recommended. The storage and memory requirements of the Outlook / Office 365 deployment tool are quite low so the overheads of having a separate installation for each user would normally only be of concern with hundreds of users. When installing the Administrator version in a Remote Desktop / Citrix or any other shared environment, it should be installed with the email address field left blank and with the checkbox Store separate settings for each user of this machine, as shown in the screenshot below. The email address for each user can be detected from Active Directory, see question #8 below. If the email address is not available in Active Directory, it will need to be entered by each user the first time the software is run. You will have the option to enable automatic updates to the Outlook Deployment Tool for users - we recommend that you check the box to enable the auto updates. 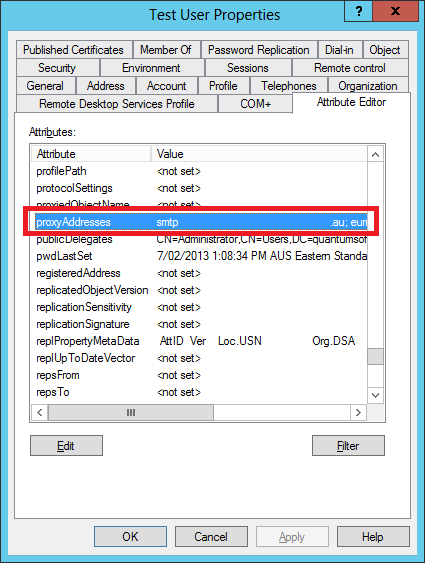 If for some reason you do do not want the tool to start upon login, the SignatureDeploymentTool entry can be removed from the above registry key. The Administrator mode in Version 1 is not going to work out of the box for a terminal server setup. However, it can be made to work, or you may find it easier to have individual users run the user mode setup (or automatically deploy the user mode setup to individual users). If you would like to use the Administrator mode setup, you will need to make some changes post install, and arrange to provision a Configuration file for every user who has a signature setup. The file is ss=”highlighter-rouge”>%appdata%\DynaSend\Signature Deployment Tool\DeploymentToolConfiguration.xml and is installed in C:\ProgramData\DynaSend\Signature Deployment Tool by default. The values which will need to be set for every user are the email address and signature folder. The “UserSid” referenced in that file is not actually currently used. 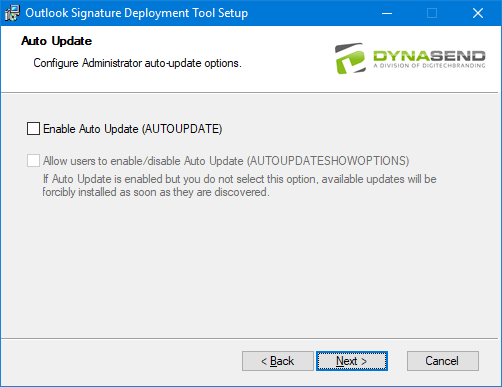 For admin mode, the other thing you would need to do post-install for the Administrator mode setup is manually edit the SignatureDeploymentTool.exe.config file in the C:\Program Files\DynaSend\Signature Deployment Tool folder, and set the isUserMode setting to true, even though you have installed it in admin mode. This is very important because it will not pick up the right DeploymentToolConfiguration.xml file for multiple users otherwise. 4. How has the Outlook / Office 365 Deployment Software been pushed out to a large number of users? The Outlook / Office 365 Deployment Software can be pushed out to a large number of users using software deployment solutions such as Microsoft System Center Configuration Manager (SCCM) or Active Directory Group Policies. The installers are standard MSI packages which can optionally be run with special command-line switches to customize the deployment. In most cases the Admin version would be used for a bulk deployment, however automatic deployment of the User version is also possible. No special settings are necessary for either the Admin or User installers, unless you want to customize the way in which it is installed. Refer to question #8 below for explanation of the various options and sample command lines. 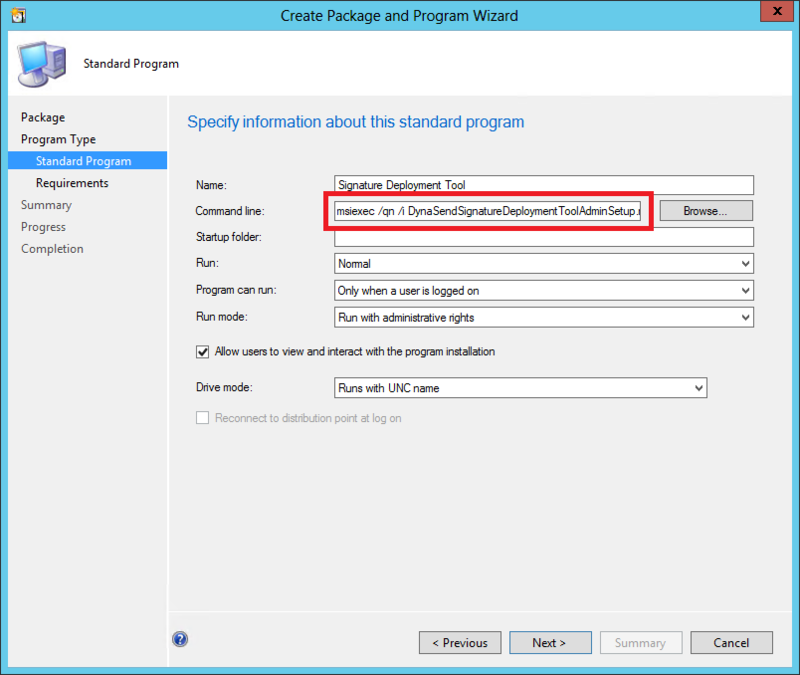 When publishing the package via MS SCCM, the Command Line can be edited in the Create Package and Program Wizard. This allows you to specify custom installation options. Refer to question #5 below for Group Policy Deployment options. 5. 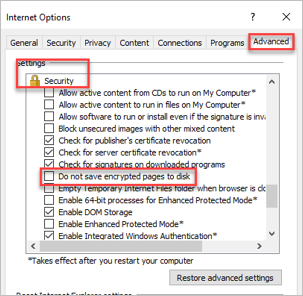 How do I use Group Policy to remotely install the Outlook / Office 365 Deployment Software? Here’s a link to Microsoft’s instructions for remotely installing an MSI package using group policy: https://support.microsoft.com/en-us/kb/816102. Note that in Server 2012 and above, instead of accessing the Group Policy objects via Active Directory Users and Computers, you will need to use the Group Policy Management Editor in Administrative Tools instead. Group Policy users Installer Transform files (.MST) instead of allowing the command line to be edited directly. Some sample MST transform files for the most common options can be downloaded here. Contact us to obtain a custom MST transform with other options. 6. 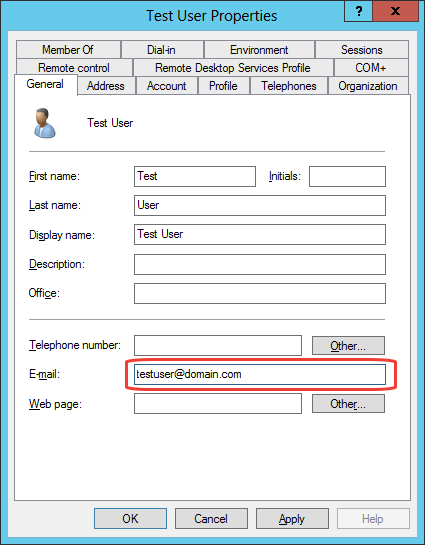 We don’t use Active Directory, so how can I automatically populate the email address field during the deployment process? The EMAILADDRESS option can be specified at the command line for both the User and Admin versions. 7. Can the deployment software be configured to just run once per logon, rather than running continuously in the background? With the default installation, the software will always be running in the background and will check for signature updates periodically. If you’d prefer to have it only run once, at the time of logon, it can be set-up to operate this way. In this case the behavior is for the Outlook / Office 365 Deployment Software to be launched when the user logs-on. It will immediately check for any signature updates (and apply them if found). Once done, it will close and exit. The registry key which enables automatic startup will need to be modified to enable the /runonce switch. The Administrator version uses the HKEY_LOCAL_MACHINE key whereas the user version uses the HKEY_CURRENT_USER key. 8. Can I run the install silently using some switches, without specifying any email address? Both the User and Admin versions can be run using the above command line switches. Note that the Administrator installation does not require an email address to be entered even when run normally. The wizard won’t appear when the /passive switch is used, just a progress bar, and there will be no prompt for an email address. When the product is first run, it will pick up the address from Active Directory. By the way running from Group Policy is the same as the above except that “passive” is replaced with “quiet” which means that not even a progress bar is displayed. If it is still not getting picked up, please see the screenshots below which show the place it looks at in Active Directory to match to an email address, and let us know if you are using something else or otherwise what results you are seeing. This one is normally set via the Exchange Management tools, which would depend on the version of Exchange you have (if any). However if you don’t have any on-premises Exchange the above is the easiest one to use. You can probably edit the proxyAddresses attribute manually even if you don’t have Exchange, although if the attribute doesn’t exist at all you would need to use ADSIEdit. Note: When auto update is enabled, users will need to have sufficient permissions to be able to run the installer to actually be able to install an update. In managed environments, it is recommended to use software deployment tools to deploy updates, instead of the built in auto-update functionality. 9. We’ve created a GPO to push your application. How do I test custom parameter configurations or troubleshoot the installation? If you are still experiencing issues, the /log switch in the above command line will enabling logging for the installation. It will generate an Install.log file in the same folder as the installation package. Send us the log file and we will advise the course of action. 10. What are the differences between the Admin and User versions of the Outlook Deployment Tool? Functionally the Outlook Deployment Tool software is the same, however the installers are different, and the admin version has configurable installation options. The admin version requires Administrator permission to the machine during installation, as it installs to the machine’s \Program Files folder. The user version can be installed by users with limited permissions as it installs to the user’s %localappdata% folder and does not require elevation. By default, the admin version downloads a single signature for all users on the machine, however this can be overridden using the installation option “Store separate setting for each user of this machine” as explained in FAQ #3. The user version requires a separate installation for every single user on the machine (if there is more than one user), so it also has independent signature settings for every user. Auto update is enabled by default for the user version, but disabled by default for the admin version. If users will be installing the tool themselves without automated deployment tools, choose the user version. If auto update capability is desired, and the updates will be installed by users, choose the user version. Users with limited permissions will not be able to install updates to the admin version, even if auto-update is enabled. If the special installation options are required (e.g. 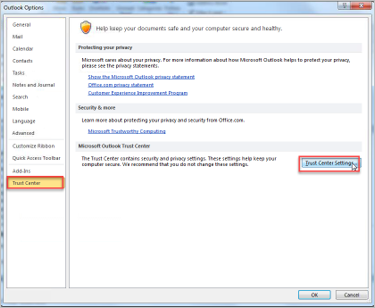 invisible mode or ignoring the email address of the Outlook profile, see FAQ #3), choose the admin version. If using centralized deployment tools to push out updates, either version can be used, however the admin version is recommended. In an environment where multiple users share a single machine with different logins, or a Remote Desktop Services or Citrix environment, choose the admin version with the option Store separate settings for each user of this machine enabled. 11. How can I download the administrative version of the Outlook Deployment Tool? 12. What might cause the images to not show up in the signatures for some users? 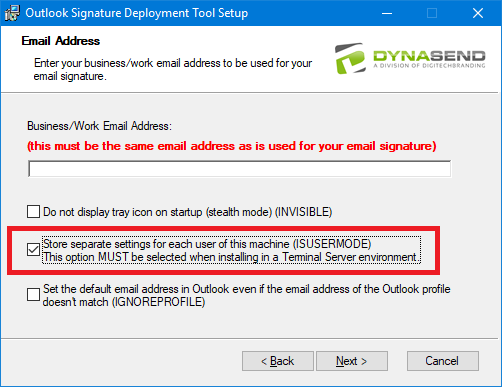 Reopen Outlook and check your signature. 13. Who do I contact for technical support on remote deployments of the Admin Version? 14. How do I a remote global removal of the desktop app? It depends on whether you have used an automated deployment tool to roll it out, such as Microsoft SCCM. If so, you should use the deployment tool to remove it.